The Internet Archive is on a roll. After adding more than a 1000 arcade games earlier this month, it has now created a new library for the Commodore C-64 featuring more than 15,000 disk images that users can load using emulation right on the Internet Archive website. Classified as software, interested users find C-64 games, applications, and demo scene releases added all together in the collection. 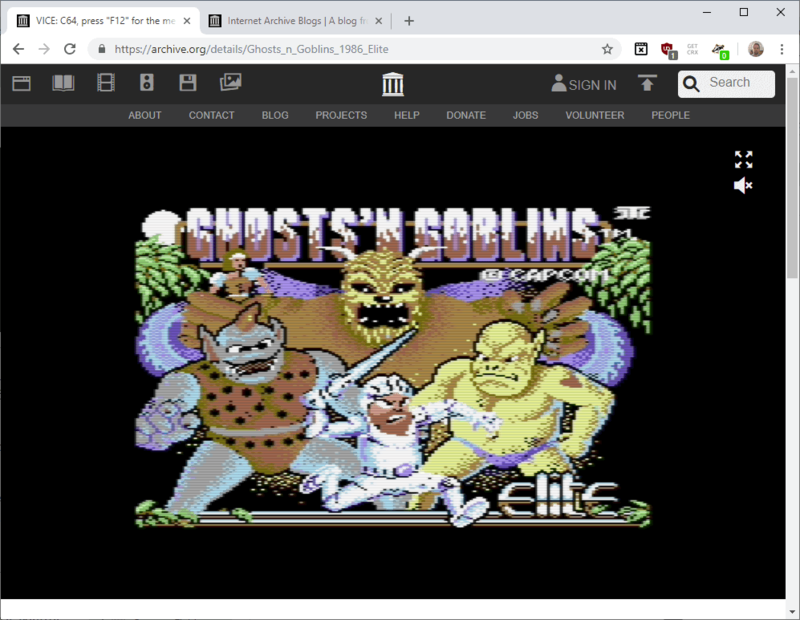 The emulator that the Internet Archive uses is Vice, the Versatile Commodore Emulator, that is also available for Windows, Linux, Mac OS X, Android, and other operating systems. As far as games are concerned, the archive seems to have most of the popular ones and lots of games that even veteran C-64 games may have never heard about. To name just a few: Airborne Ranger, The Last Ninja, Bubble Bobble, Castle Wolfenstein, Zak McKraken, Maniac Mansion, Burger Time, The Bard's Tale, Sim City, Summer Games, Little Computer People, Elevator Action, Boulder Dash, or M.U.L.E. Tip: you can also play Classic DOS games and Console games on the Internet Archive website. You can browse the selection and filter programs by views or in alphabetical order. You may want to use additional filter options displayed in the sidebar and search functionality to find games and other programs that you are interested in. You can sort by year if you know the year the game was released in but that works only for half of the entire library as the other half has no year associated with its release. What works considerable well though is to select the C64 Games sub-collection so that only games are displayed. Collections for demos, music disks, diskmags, and other content are available as well. The archive stores more than 8800 C-64 games at the time of writing. I'm not entirely sure how this works with multi-part games that are listed individually. Whether other game sides -- C-64 games were released on cassette and floppy disks -- are automatically picked up or not is not clear at this time. Controls are mapped to the keyboard but you may also use a connected joypad. Joypad use is probably the better option when it comes to games as most C-64 games made use of the joystick and the single button that it had. Important keys on the keyboard are mostly located on the numpad. The 0-key is used as the main button, and the up, down, left, and right keys to move around. You may press F12 at any time to display the emulator menu that gives you some options, e.g. control audio and video settings, or change the keyboard mapping for a more enjoyable experience. Options to download any game, demo and other C-64 disk image are provided. You could theoretically download the disk images and the emulator Vice for the operating system that you are using to play it locally. While most C-64 games are pretty basic when you compare it to games released in the past decade, there are still some that can hold their own. Not with graphics or audio, but with gameplay. I like classic games such as Bubble Bobble, Giana Sisters or AD&D games by SSI, and they play just fine even today. Now You: What is your favorite game system of all time? The Internet Archive hosts more than 15,000 C-64 games, apps, and demo scene releases now that can be loaded and played right on the site. Very nice! To this day, the C64 ties with the Newton as my favorite computer to develop programs for. Long live the C64! There’s still an attic here full of these breadboxes and quite a ton of games. I’m totally with John on “long live the C64”!